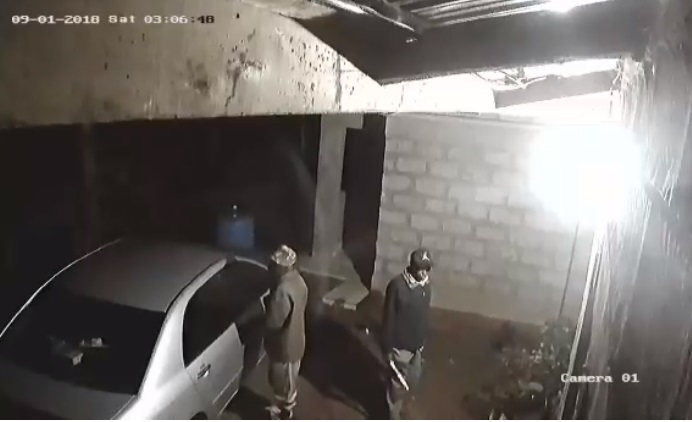 Home / Editor's Choice, Entertainment News, Videos / Help identify these thugs who were caught on CCTV stealing someone’s car in Embu at night (VIDEO). Help identify these thugs who were caught on CCTV stealing someone’s car in Embu at night (VIDEO). Monday, August 3, 2018 - This lady is requesting Kenyans to help her identity these thugs who were caught on CCTV stealing a car from their home. “Sharing the CCTV videos of the stolen car in our home in Njukiri, Embu County. Let's try to identify the people especially those who come from the areas near/around there. DCI should also investigate this matter as soon as possible. I understand car theft has increased in Embu with over 7 cars stolen from around there. Let's catch them.